TRENTON, Canada -- The special envoy investigating the plight of the Rohingya Muslims issued a report Tuesday that encouraged Canada to accept refugees displaced by persecution in Myanmar. The report by former Ontario premier and Toronto MP Bob Rae, also recommended sanctions and prosecution against those in Myanmar who are behind the crisis that has forced Rohingya to flee for their lives to Bangladesh. There is proof “to support the charge that crimes against humanity have been committed,” the report stated. Rae, who was appointed special envoy by Prime Minister Justin Trudeau, traveled extensively in the region in February and released his report at a news conference in Ottawa. He visited Bangladesh refugee camps, where hundreds of thousands of Rohingya are living in deplorable conditions. While he was refused permission by Myanmar officials to go to Rakhine State, the home territory of the Rohingya, Rae said he saw enough of the wanton destruction of villages to convince him of the persecution. Rae made 17 recommendations to help ease the plight of the Rohingya who have been called the most persecuted group on the globe. They included that “Canada should signal a willingness to welcome refugees from the Rohingya community” from Myanmar and Bangladesh and also encourage other countries to do the same. Rae also suggested countries, including Canada, should hit “targeted economic sanctions” those who are behind the violence. He said Canada should raise the crisis at the Commonwealth Heads of Government meeting in London later this month, as well next month at the G7 summit in Canada. The Canadian government will review the report and decide on what action to take. 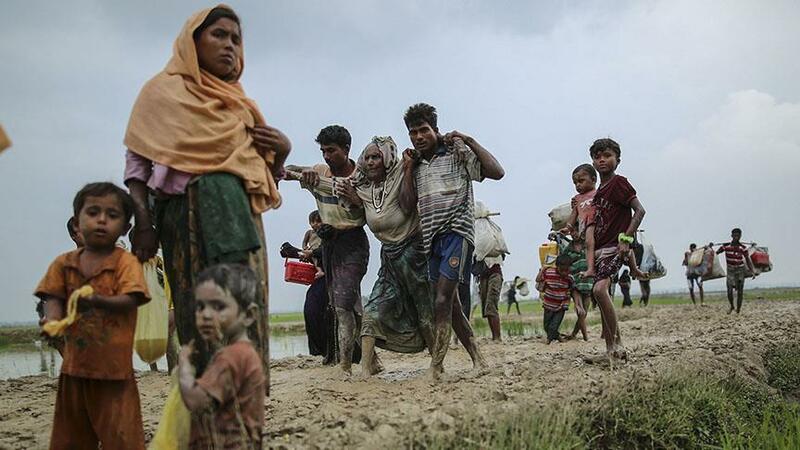 At least 9,000 Rohingya were killed in Rakhine state from Aug. 25 to Sept. 24, according to Doctors Without Borders. In a report published on Dec. 12, 2017, the global humanitarian organization said the deaths of 71.7 percent or 6,700 Rohingya were caused by violence. They include 730 children below the age of 5. The UN has documented mass gang rapes, killings -- including of infants and young children -- brutal beatings and disappearances committed by security personnel. In a report, UN investigators said such violations may have constituted crimes against humanity.